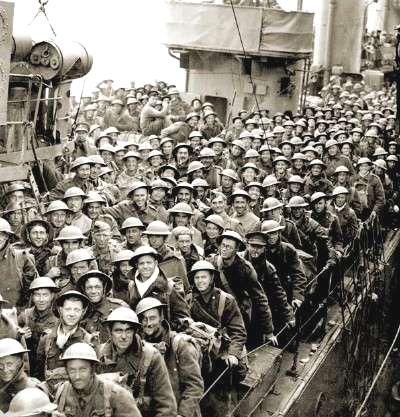 With the evacuation of Dunkirk mostly completed by June 2, 1940 Foreign Secretary Anthony Eden addressed to the world that the bulk of the British Expeditionary Force had safely arrived back in England and a catastrophe had been averted. Now the concern was when there would be an invasion of Britain, or if the German army would turn south and head to Paris. At the time no one knew. Dunkirk was a mere 20 miles from the English coast and an invasion not only seemed likely, it was felt to be inevitable. It was just a matter of time.